As children become of school age, they will struggle and succeed at many things. Throughout your child’s academic years, they will travel along a variety of roads, both bumpy and smooth. Such roads will provide them a number of experiences both academically and socially. With their many years of professional experiences, David and Annie Fox of Electric Eggplant have developed a series of books, Middle School Confidential for a variety of platforms – iTunes App Store, NOOK Color and Tablet, Kindle Fire, and other Android tablets. Their latest addition, Book 2 of the series is called Real Friends vs. the Other Kind, and will be available first on the iTunes store as an iPad app soon. If you are already familiar with the work/writing that the Middle School Confidential book series can and has done for your student or child, then you will be pleased to read our review of this latest series. If you have a child(ren) or student(s) that struggles to see the enjoyment in reading books or making “real” friends, then Book 2 – Real Friends vs. the Other Kind is the way to go. With its untraditional way of reading a chapter book, as it is presented in a comic book format, youngsters from late elementary to middle school will be able to make personal connections. These connections will be made as they follow the trials and tribulations of characters: Chris, Michelle, Mateo, Jen, Jack, Abby and the newest addition to the clan, Monique. Whether you are a boy or a girl between the ages of 10-14, you can be certain that you will be faced with such issues as: bullying, put downs, friendships of all kinds and many doubts of how you fit into their social group. As a parent or educator attempts to talk to their child or students about such social issues they may push back. Not to worry, visit the app’s information button and click on the About this App tab. Here educators and parents will have access to a hidden gem. Through our exploration, Applicable2U found that when we tapped the images on this screen that it linked to two very helpful resources: an Expert Author Podcast for Parents and a Free Leader’s Guide that can be downloaded for educators. As a student, I wish such a product was at my disposal as I struggled through my “tween” years. Regardless, as the technology specialist to children just entering into those precious years and as a parent that will one day have a son questioning his confidence and his friendships, this series will certainly come in handy. In a very user friendly manner, users will have access to 8 non threatening chapters that will spark connections, communication and a sense of ease. It is time to empower, according to one of the books characters, Chris, “You can count on your real friends. And they’ve gotta be able to count on you too!” Topics will range from Real Friends, Should I or Shouldn’t I, Worried About a Friend?, So-Called Friends, and Making New Friendsto name a few. As a parent, counselor or educator, navigate at your own pace and integrate chapters that work for those students you work with. The social piece of growing up and fitting in is hard enough, luckily Annie Fox has been working with children for over 30 years and her experiences for supporting you certainly shine through in her hardcover and book apps across all devices. Making “real” friends is so challenging in the late elementary to middle school years. With this educational book, Applicable2U can truly see how it can be integrated into any guidance counselor’s lesson plan. At our school we have a program called lunch bunch groups. During these group lunch sessions, our guidance counselor works on a variety of social, organizational and behavioral issues. Knowing that problem solving of some kind is our counselors main objective, Electric Eggplant wanted to extend the lines of communication one step further. Real Friends vs. the Other Kind has recently added a new component, interactive quizzes within three of the eight chapters. These interactive quizzes will provide your child or student two modes of questioning: true/false and multiple choice. Within Chapter 2: Friendship Dilemma’s the “teacher” will only share one question at a time. As you review all choices and select how you might deal with a certain situation, both adults and young adults will be amazed at the dialogue that it will spark. Immediately your selection will be graded with a right or wrong answer and a clear explanation will be provided for both. However in Chapter 5: So-Called Friends and Chapter 8: Making New Friends, here problem solvers will be asked 5-10 “what if” scenario questions of either multiple choice or true/false format. Simply tap your answer(s) and it will be highlighted. Applicable2U is looking forward to seeing these “end of chapter” quizzes in action with multiple devices as they play a role in what we like to call “lunch bunch” groups. Honesty at its best! Applicable2U gives Middle School Confidential 2: Real Friends vs. the Other Kind two thumbs up! This is a series not to be missed. If you would like to learn more about Electric Eggplant, please visit the following websites to learn more – development homepage, Free Spirit Publishing or the Middle School Confidential homepage. To get your hands on a wonderful social and communication building app, then click here to access Real Friends vs. the Other Kind in your iTunes library today! Today’s review is solely for educators. If you have not already heard via Facebook, Twitter, email or the news, Apple sold their ten billionth download recently. Yes, ten billionth! This past summer, in my search of educational and productivity apps, I came across Teachers Pick. I was quite excited to see the possibilities that it would have on my classroom come September. Do you find that you call on the same student(s) time after time? Are there students in your room that never raise their hand? If so, then Teachers Pick will solve that problem and you will begin to “hear” from all your students. The objective behind this application is just as their icon shows. At some point in the school year, have you found yourself using popsicle sticks to pick students to do things? Well popsicle stick no more!! Very easily you can set up class lists and assign students to each. Teachers Pick is not limited to just the regular classroom teacher. It is appropriate for integrated arts, staff meetings, setting up teams for group projects and after school programs as well. As I shared this application at the beginning of the school year with the 400+ students that come through my room, they were intrigued. They didn’t believe me when I said their name(s) were uploaded to my iTouch, not until I clicked the “smiley face” button and they were expected to answer a question. Through the use of clipart, students can be either active and non-active. Below is a screen shot of the smiley face (active) and snooze icon (non-active) that you will see within each list. With a click of the smiley face, a student is “randomly” chosen. Why not put the selection of students in the hands of technology rather than in your own. Once their name is picked, you can switch their mode so that their name is not chosen again. Since having downloading this summer, the developers of Teachers Pick have made a number of improvements. Student lists can now be edited in multiple ways that were not there in the initial launch. This is a must have application for any educator and for just a mere .99 you too can have this app. If you are interested in learning more about Teachers Pick be sure to visit their website:http://sites.google.com/site/teacherspick/. 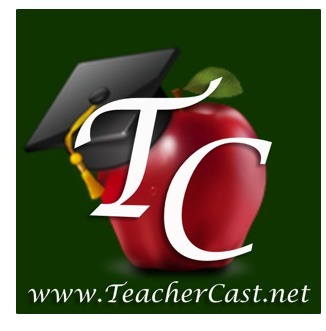 Or download Teachers Pick from iTunes by clicking here.